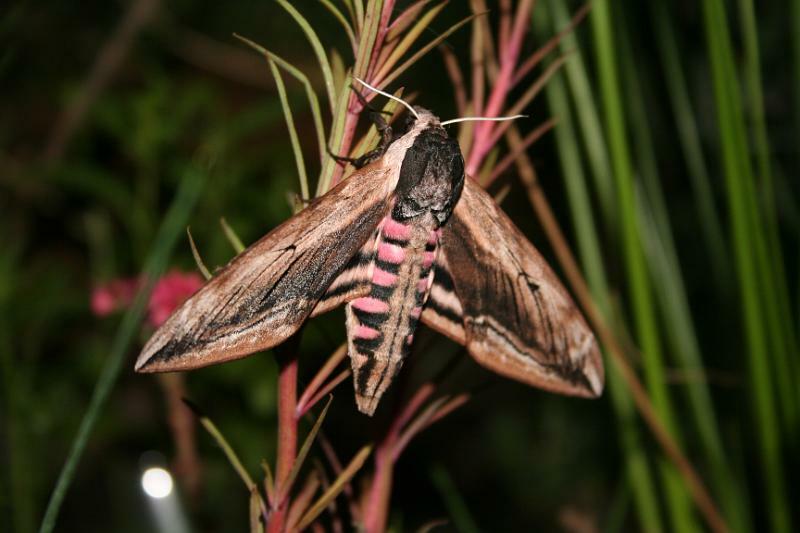 Privet Hawk moth (Sphinx ligustri), a large and unusual moth, about 10cm width. Appears in June, July in gardens and woodland. Found often near Privet.